Nancy Lee Williams, aged 76, passed away on September 3, 2018, in the presence of her loving family. Nancy will lay to rest next to the love of her life Gerald Williams, married July 16, 1961, who passed away from a tragic accident in 2001. Left to honor Nancy and remember her love are Nancy's three children, Rodney, Jerry and John. The love continues with her seven grandchildren and three great grandchildren Wayne, Clayton, Jessica, Nolan, Wesley, Taylor, Brittney, Jackson, Ryder and Willow. From her birth, in Santa Barbara on April 30, 1942, to the day she passed, she nourished the people around her with faith, strength and everlasting love. Nancy never strayed away from her passion to her family and cattle ranching. She did it all; rode horses, gathered cattle, and cooked for an army of people. Nancy was instrumental in creating a cattle herd that is ranked in the top 25% of the nation for growth and carcass value traits. Nancy was recognized in many ways for her hard work and dedication; she was the first Elks Rodeo Queen from Santa Ynez Valley, she became the Cattle Women's President twice, and the Santa Barbara County Livestock Person of the Year in 2010. Nancy will never stop being remembered as a quick witted, faithful and caring woman in the people and communities she created relationships with throughout her life. 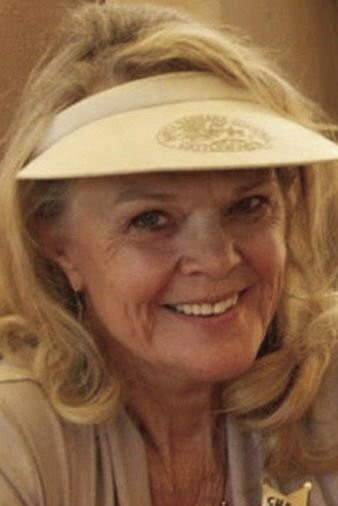 Her Funeral services will be held on Tuesday, September 11, 2018 at 10:00am at Oak Hill Cemetery, 2560 Baseline Avenue, Solvang, California 93463. The family will greet friends from 11:00am to 1:00pm at the reception following the burial service at the Santa Ynez Valley Presbyterian Church at 1825 Alamo Pintado Rd. Solvang, CA 93463. The Williams family would like to extend our gratitude to all the loving care that people have shown us through this difficult time. In lieu of flowers, memorials may be made in Nancy's name to Hat's for Hope at www.hatsforhope.com, or sent to P.O. Box. 139, Arroyo Grande, CA 93421.